I've always been the kind of girl that would rather wear things already in her closet than go out and buy a cheap costume for Halloween. Not going to lie, I'm a fan of the idea that you get to look (almost) normal out of context, outside of the party. And of course, if you're using things you already own in an interesting and clever way you also get to save money. This year I decided that if there was to be costume wearing, I would go as Jess Day, Zooey Deschanel's character from New Girl. Jess' style is quirky and easy to replicate. 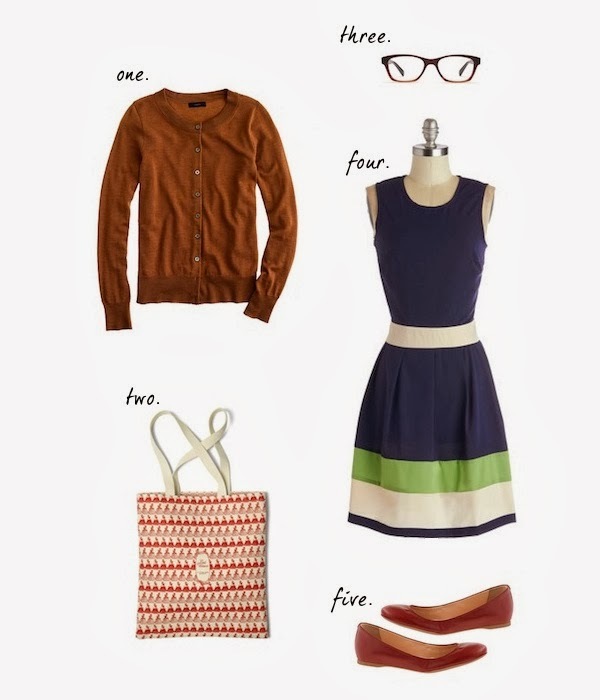 Basically all you need is a pretty dress, cardigan, and contrasting shoes. Add a brown wig or clip in bangs, whatever you need, and/or glasses if you wear them and you're ready to go.